Firstly, the "pleasant fragrance" is an attack on my senses. I have never been a fan of neroli but this shampoo has put me off for life. The fragrance is far too over powering for my liking. Secondly, my scalp and neck began to itch after the first wash. Why am I not surprised. Often I find products marketed towards sensitive skin are guaranteed to cause me a reaction. It is some weird mystery that I have never understood. I persevered for a couple more washes but now this has been banished to the back of the beauty cabinet. I tweeted the problem to Naked and their response did make me giggle. I think it is rather odd to advise someone who is potentially allergic to a product to continue using it. Normal response is to discontinue use immediately. I have to say that with the couple of washes I did manage this did nothing for my hair and I felt it was making my dry ends worse. To put it bluntly I couldn’t wait to switch back to Organic Surge Moisture Boost Shampoo. I do not think I will be straying any time soon. Looking at the reviews on Naked website this shampoo has a lot of fans. Natural products use essential oils in place of artificial fragrances. The trouble is essential oil can also cause irritation. So my words of advice are that extremely allergic, eczema prone, sensitive types like me, need to be cautious when trying this shampoo or any other natural product on the market. P.S - I like Naked products but they are only free from certain synthetic ingredients. Some people do feel the brand gives a false image. You will find other brands have better ingredients. Ingredients for this product: Aqua, Sodium lauroyl sarcosinate, Cocamidopropyl betaine, Sodium cocoamphoacetate, Glycerin, Lauryl glucoside, Coco glucoside, Glyceryl oleate, Avena sativa (oat) meal extract, Citrus aurantium (neroli) oil, Guar Hydroxypropyltrimonium chloride, Citric acid, Caprylyl/capryl glocoside, Sodium Hydroxymethylglycinate, Linalool. Naked have emailed me today with this "As I’m sure you can appreciate it is very difficult to offer full advise via tweet. The problem that you described can be associated with a number of things and is usually when someone is switching shampoos to natural". I imagine shampoo without fruit oil must be hard to find. I find it difficult avoiding Orange. So what shampoo did you end up getting instead? I love Neroli but the way that you described it, that shampoo does not sound pleasant at all! I got a Naked Shampoo & Conditioner for free from somewhere and I find them to be alright (it's the coloured variety that smells like cinnamon) but wouldn't buy them again. 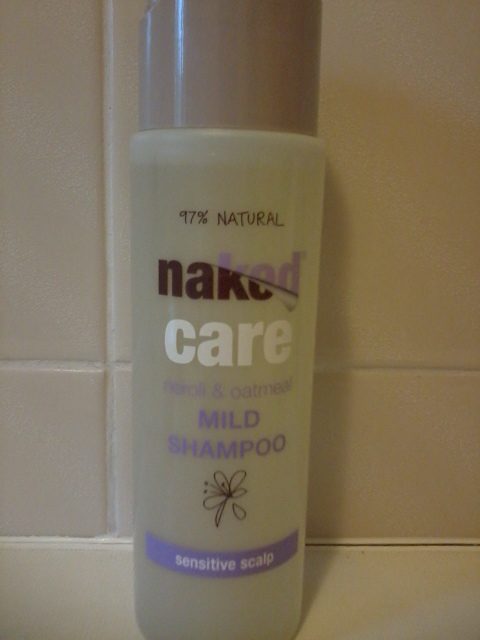 I am however in love with the shampoo bottle - I think i'm just going to re-use it for my other shampoo. Naked isn't a big brand over here but i'm glad that you mentioned how they have a lot of hidden nasties. I'll definitely avoid them in the future. It's taken me a very long time to be happy with my haircare. I am still using Giovanni conditioner. I'm still experimenting with shampoos, I found a nice one in TK Maxx but it's not a UK brand and can't find it again. Organic Surge is still a firm favourite but like Naked it's free from the common synthetic ingredients but there are still some questionable replacements. I like the salon brand Pureology but it's parent company is L'oreal and I have issues with that.